Reflect now and decide whether you are in the right place or not. 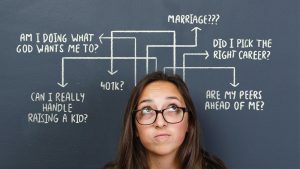 If there is a “nagging sense of falsity”, then you are definitely suffering from quarter-life crisis. According to the recent study conducted by the International Journal of Behavioural Development, about 49% of women have reported ‘crises in their 20’s and 39% for men. If you ever feel alone and stuck, do not worry because it is perfectly normal. What’s not normal is not getting through with it and still enduring it for the longest time. You cannot be lost forever. If you just look deeply, you will surely find your way. 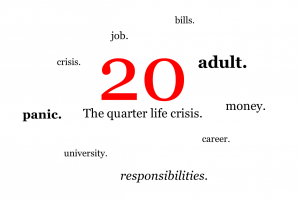 Many Singaporeans should now that quarter-life crises are normal and they should not be ashamed about it. 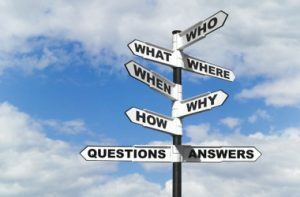 Disengage from default direction: Many people try to convince their selves that they are not lost thereby following one vague path. The path can be set before you by a parent or guardian. You blindly follow it thinking that it is best – this is called default direction. To be happy, you have to disengage from that direction and find your own road less travelled by. Remain calm: When you finally realized that you are lost, there is a tendency that you will over react, freak out or panic. You have to remember that anxiety will only aggravate the situation. When you suffer from emotional arousal (like dread, fear and distress), your thoughts will usually scatter in irrelevant directions. This will keep you from solving even the simplest problems. Some people chase other paths right away and that is not effective. Find baseline: Without baseline, you will surely get lost because you have to context to work with. A trail is easy if you find the baseline. Hikers always mark their baseline and put things along the way so they can always find it. Start by deciding what you love most or what you are good at. Design your action plan: There is no one in this world more capable than you. You have to design your action plan and make sure to execute it. Do not expect for a “search party” to bring you home whenever you are lost. Always find the things that work for you and embrace responsibility. Do not rely on the people around you to direct your path.